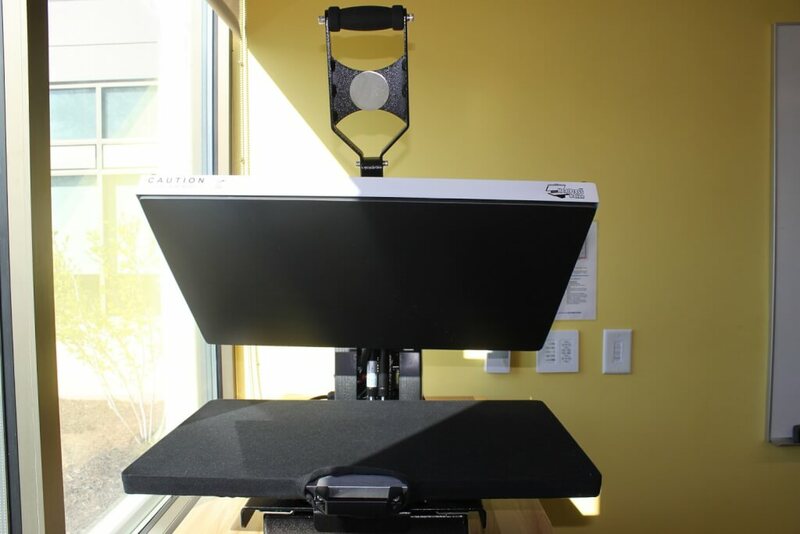 Available is an array of digital and analog fabrication equipment, including but not limited to a laser cutter, 3D printers, CNC mill, electronics workbench, sewing machine, and various hand tools. Small in stature and huge in utility, this CNC machine's primary purpose is to fabricate printed circuit boards, taking the PCB fab turnaround time from weeks to hours. DaBL's 3D printing workhorse, this machine is a staple in rapid prototyping. With dual-extrusion support material capability, this machine will print objects that require minimal physical post-processing. Every good fabrication lab needs some soldering stations! Use these to assemble the PCBs you create on the Bantam Tools PCB Mill, repair existing boards, or any other project requiring soldering. 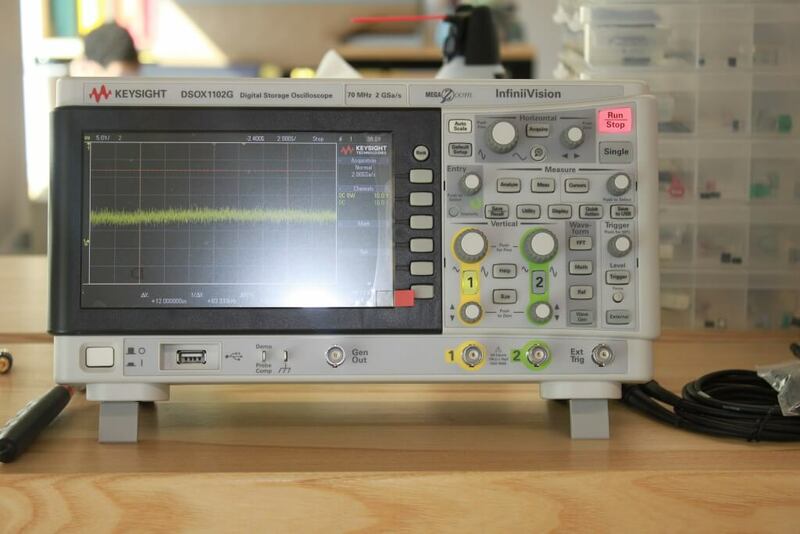 An Oscilloscope measures voltage over time. This measurement is displayed on the screen and shows a waveform that can be analyzed to obtain amplitude, frequency, rise time, distortion, and other characteristics of an electrical system. This tool can be extremely useful to find problems with an electronic project! 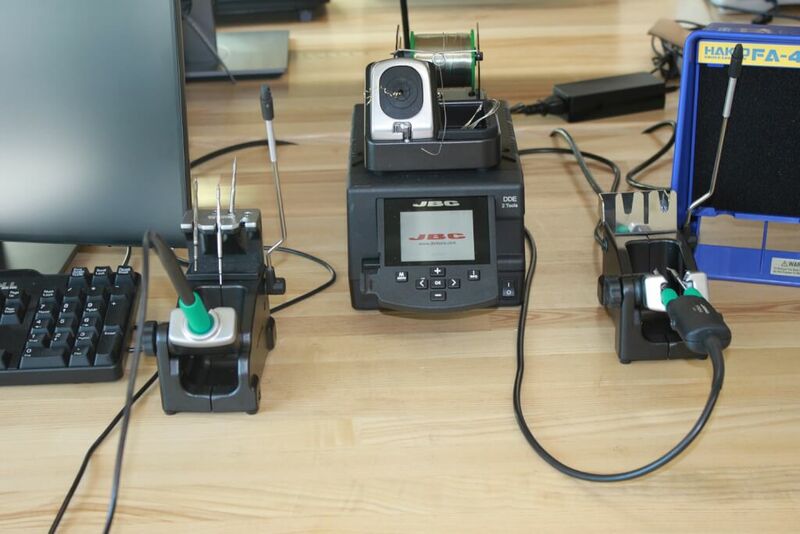 This JBC soldering station is much more refined than the above HAKKO irons. It is a terrific tool for attaching very small surface components as the tips are thin and there are multiple tips to use. There are also hot tweezers for grasping tiny things. The vinyl cutter takes 2D designs and cuts them on an adhesive backed material. The cut design can be placed on a surface immediately, or put onto fabric later with the heat press. This CNC machine is how visitors to the DaBL make T-shirt designs! 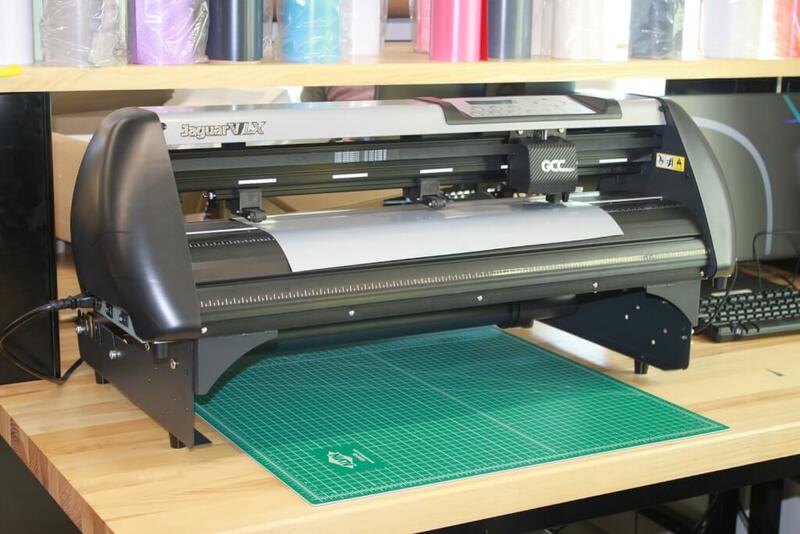 Combined with the vinyl cutter, the heat press ensures that the cut design sticks to the desired fabric. After prepping the fabric with a 3 second heat blast, it takes less than 20 seconds to create a permanent design on a shirt or other piece of fabric. 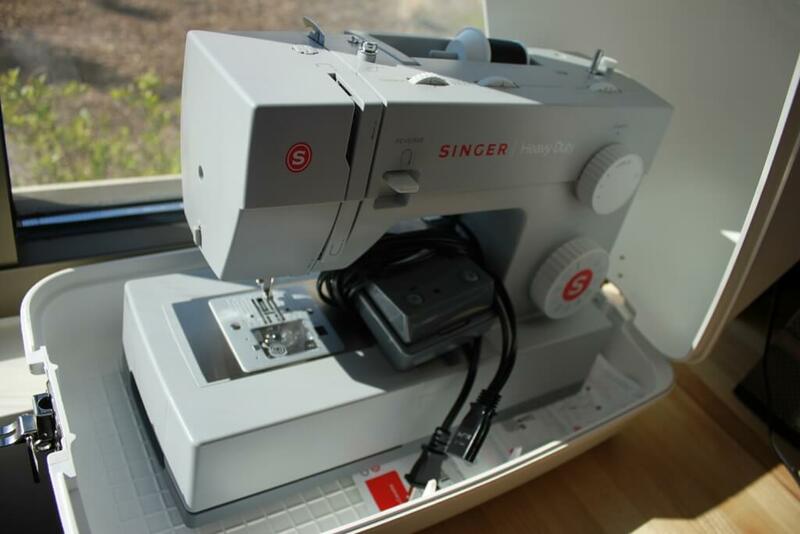 The sewing machine in the space is used more than you would think! From fixing holey jeans to putting pockets on a newly made t-shirt, the sewing machine is a surprisingly versatile machine that has many uses. 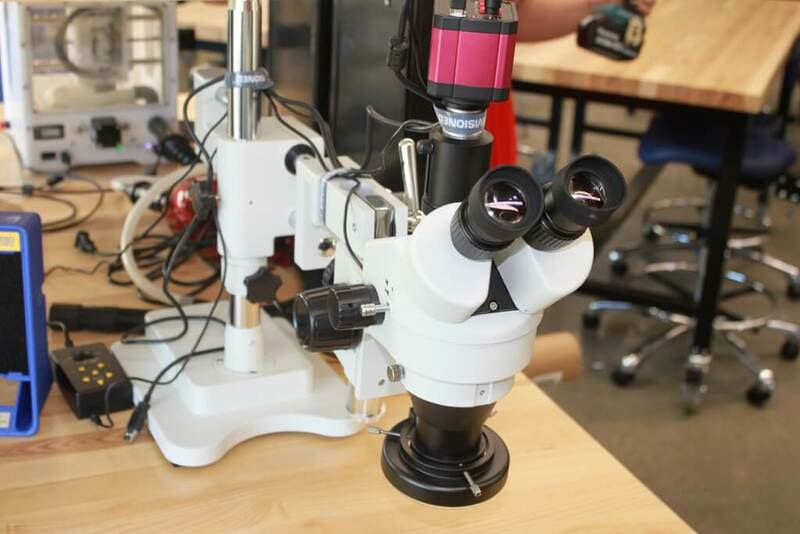 Whether making precise measurement, looking at tiny resistors, or just wondering what something looks like close-up, the microscope is a powerful and fun tool to use. There is a camera attached to the top allowing users to take photos through the lens. DaBL has a host of hand tools at your disposal with which you can physically realize your designs. There is plenty of space to spread out onto when fabricating.